One major reason why I started this blog - to have an outlet to gush about new products that rock my world. I can only talk about an eye shadow or nail polish so much with my friends before they say "Yeah, you told us already". Here I can get all my feelings out and then share them over and over again on social media platforms satiating my need to spread the news of my fabulous find. The current product worthy of these bragging rights? My new Dior Eye Palette in Grege. I picked it up on a recent trip to Sephora (deja vu) because I was in the mood for a new neutral eye look. 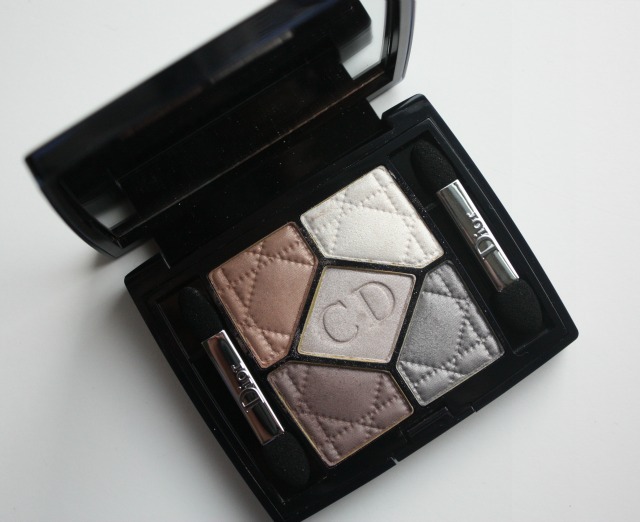 If you can believe it, this was my first Dior eye palette and it has lived up to my highest expectations. Initially I was hesitant for a few reasons - 1. two of the lighter shades were extremely shimmery 2. the other shades did not look deep enough to create a full dimensional eye look. I was wrong on both accounts. 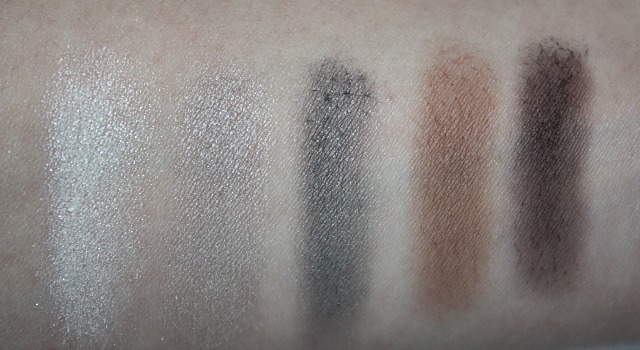 Though the swatches of the two palest shades read quite frosted in the above picture, they blend down to a nice base color when on the lid, giving a look that was appropriate for the office. The steel gray and tan shades are the perfect crease color to give subtle definition, yet can be built up to a smokier effect for evening. The deepest shade was the most surprising - as it looked quite muted in the pan, but when swatched was the perfect liner color to complement. While I do tend to favor a typical crease style eye (light lid, deeper crease, dark liner), I had fun blending all the colors together for a multi-dimensional smoky look. All in all, I can't stop using it - I try to find reasons to pull out my other palettes but the Dior Grege just keeps winning. I guess I can let it bask in the glory of victory for now. It's deserved. The order has been placed, the product is in the mail, and my next giveaway will be announced in the next week! Hooray! !